AgentPro Estate Agent Software was created by ITCS Bridgend for our clients in the property sector. Since 2004 AgentPro has been the software of choice for hundreds of estate agencies across the UK and beyond, helping thousands of estate agency staff to manage their day-to-day activities with ease. Running a successful estate agency isn’t easy – as well as managing finances, a property portfolio, existing clients and potential customers on a daily basis, modern agencies also have to provide a decent online presence. Portal websites (e.g. Rightmove, Zoopla, OnTheMarket) rule the roost, and clients expect properties to be marketed and kept updated instantly. Estate Agents have to multi-task, so they need software to support more than one area of their business. Agent Pro manages all of the day-to-day tasks that estate agents have to do. From enquiry to completion or rental, Agent Pro helps estate agents nurture their clients. AgentPro has in-depth calendar and task list features, allowing agencies to manage staff time effectively, even in several branches. Negotiators can book appraisals, create instructions, and much more directly from the AgentPro software. They will also get reminders for outstanding tasks, and recurring events to help them meet property management regulations. Managing finances makes all the difference for a successful estate agency. AgentPro handles this with aplomb, generating Invoices, processing payments and sending out reminders with ease. All receipts are centrally recorded too, and can be exported to Excel for bookkeeping. An Estate Agency is a people business, so getting the marketing right means everything. AgentPro offers solutions to easily create brochures, window cards and newsletters. Templates in AgentPro keep the process simple, and ensure agencies have a consistent and professional look for their promotional materials, every time. AgentPro also holds a database for existing properties, clients and potential customers. Agencies can produce custom newsletters for their mailing list, or even perform in-depth client matching. All of which means customers can be kept in the loop when something new comes on the market. 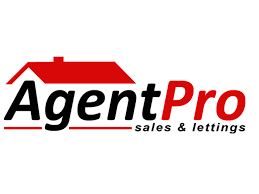 An AgentPro website is more than just an amazing website built to your specific requirements, it is designed to handle the grunt work of estate agency online marketing. Agencies can easily create sales or letting listings easily, and automatically feed them to their website, social media platforms and their property portals of choice. An AgentPro website works alongside ITCS, so we can create new estate agency websites that make the most of our software. People expect more from modern estate agencies, so an AgentPro website with real-time social media, instant property updates, client logins, maps integration and downloadable media all give customers real confidence. With AgentPro, no estate agency has to go it alone. AgentPro has its own dedicated support team to handle any customer issues that occur. From product demonstrations, training sessions and even data import management, we’re there to help agencies for the lifetime of the product. See why hundreds of estate agencies have decided it’s time to go AgentPro by visiting the AgentPro website.